Local business woman, Rhonda Nebgen, Senior Project Manager, at Emerson Construction Company, Inc. and Board Member of NAWIC (National Association of Women in Construction) Waco Chapter #14 receives award at National Conference. Mrs. Nebgen received the National Executive Spotlight Award for showing characteristics depicted in the book “Lean In” by Sheryl Sandberg. The award was giving for sitting at the table, seeking challenges, “leaning in” to her career and NAWIC membership. Mrs. Nebgen received this award at NAWIC’s Annual Meeting and Education Conference that was held in Anahiem, CA on August 16th thru the 18th. 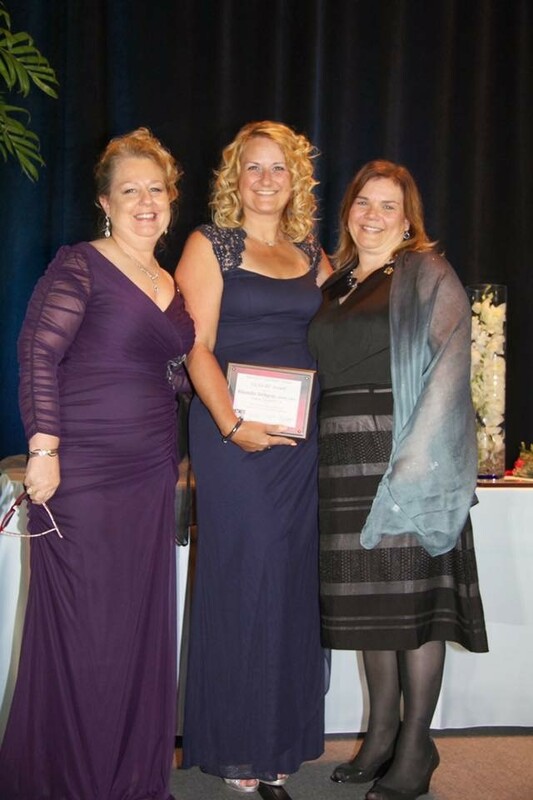 Photo attached shows Mrs. Nebgen receiving the award at the conference, pictured from left to right are NAWIC’s National President, Connie Leipard, Rhonda Nebgen, and National Treasurer, Anne Pfleger.